Why is Cyber Crime a national security concern? Is cyber crime a national security issue? Put simply, cyber security involves protecting the integrity and security of computer systems connected to the Internet. Different entities like Government, organisations and individuals across Australia depend on these connections to the internet. 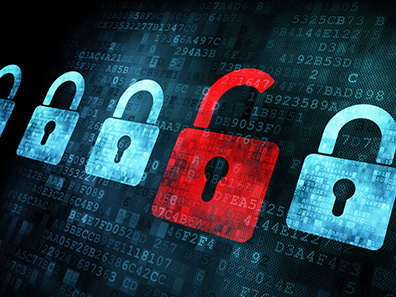 Parliament has enacted a raft of legislation dealing with the issue of Cyber Security. Producing, supplying or obtaining data with intent to commit a computer offence. In April 2017, the Government’s data retention scheme came into effect. Part 5‑1A of the Telecommunications (Interception and Access) Act 1979 (Cth) requires telecommunications companies to retain certain telecommunications data for at least two years and permits listed Australian Agencies (i.e. ASIO) to access this data. email address and when an email was sent (but not the subject line or content of an email). Telecommunications companies are not obliged to keep your internet browsing history. The purpose of establishing a data retention regime is to increase law enforcement’s investigative capabilities in relation to serious national security matters including cybercrime. To address concerns regarding the data retention scheme’s vulnerability to potential hacks, identity theft and other cybercrime, the Government introduced a mandatory data breach notification scheme under the Privacy Act 1988 (Cth). Listed entities have an obligation to report ‘eligible data breaches’ to the Office of the Australian Information Commissioner and to persons who might be affected by a data breach. A failure to report an eligible data breach is considered an interference with the privacy of an individual. As a result, there is a significant civil penalty (i.e. 2000 penalty units) for ‘serious or repeated interferences with the privacy of an individual’. What else is Australia doing to enhance cyber security? The commencement of comprehensive training for Australian Federal Police to better tackle contemporary cybercrime. In conclusion, new and complex threats in cyberspace highlight cyber security as a current and pertinent consideration for Australian national security. Our team attends courts across Sydney and throughout NSW. Copyright © 2016 Nyman Gibson Miralis. All Rights Reserved. Call 1300 668 484 today.